I don’t look that pregnant, right? I’ve been so busy and tired lately that I haven’t really done a very good job attempting to raise awareness regarding the fight against lung cancer, something of which I am slightly ashamed. Lung cancer (or any cancer, for that matter) doesn’t take a break, so I shouldn’t either. Data from the National Cancer Institute (NCI), Department of Defense (DoD), and Centers for Disease Control and Prevention (CDC) reveal that the amount of money spent per death from cancer for the fiscal year 2012 was $17,835 for breast cancer, compared to $1,378 for lung cancer. This represents a greater than 10-fold increased spending per breast cancer death compared to each lung cancer death. A look at the total funding for these malignancies is just as alarming. Between 2008 and 2010, the NCI spent $1,803.3 million on breast cancer research compared to $776.4 million on lung cancer research. The discrepancy in survival rates for lung cancer versus other cancers, particularly breast, is ridiculous. The paucity of funding available for lung cancer research is appalling. And the fact that there is still a stigma surrounding lung cancer is absurd. Lung cancer is a disease that can affect anyone, regardless of age, race, or previous smoke exposure. Any funds that you donate are used responsibly to assist in the fight, I swear. 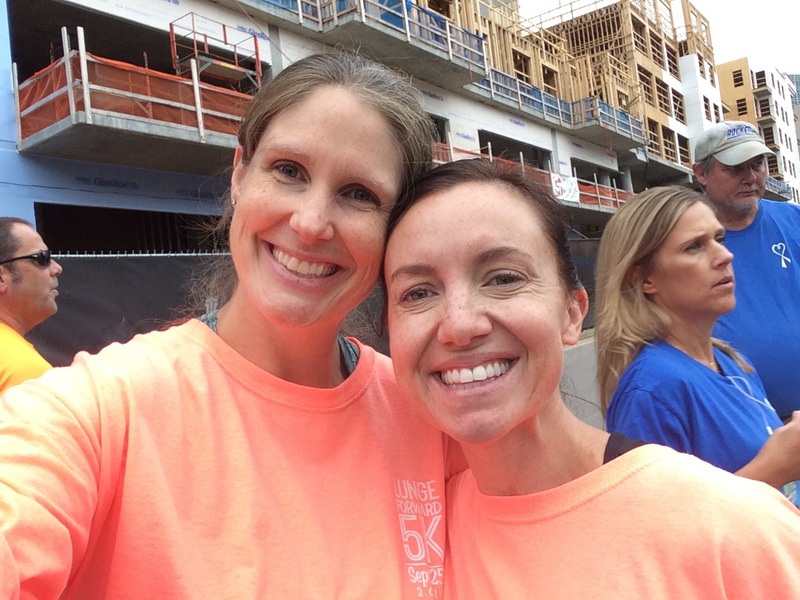 The Lung Cancer Initiative does a great job of making sure that your donations go back to the people that need them, with 88¢ of each dollar donated going back to the community in the form of various programs. Here is a link to the LCI page detailing just what, exactly they are doing with your money. It looks like it’s going to rain again, for the third year in a row. But like I told some of my coworkers who are coming to the race with me, “Cancer doesn’t stop for the rain so neither will we.” I’ll post some pics from race day later (or tomorrow…) so you guys can all see the amazing turn out we have here in North Carolina to fight the number one cancer killer in the world. Thank you in advance for your support! 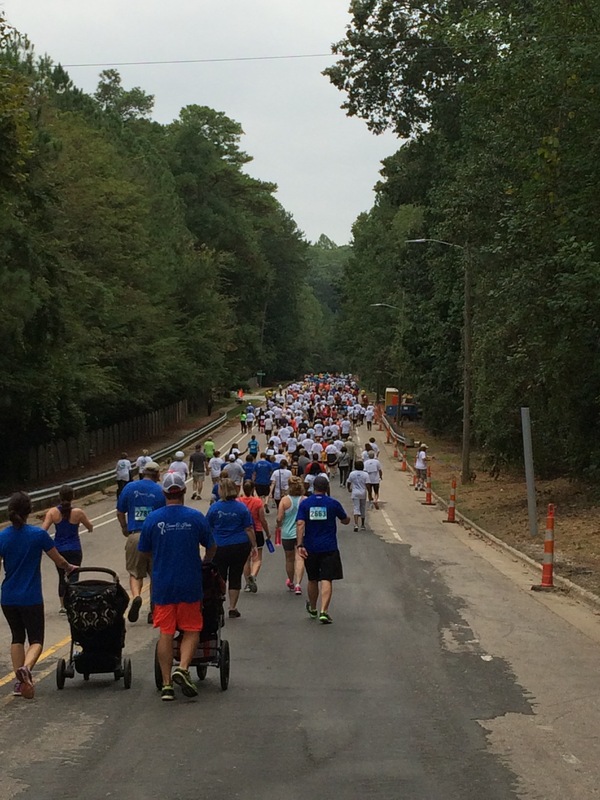 Update: Here are some pictures from the race today. The rain held off, which was a nice change from the last few years. I’m always amazed at the wonderful turn out this event gets, that so many people in the area are committed to fighting lung cancer. 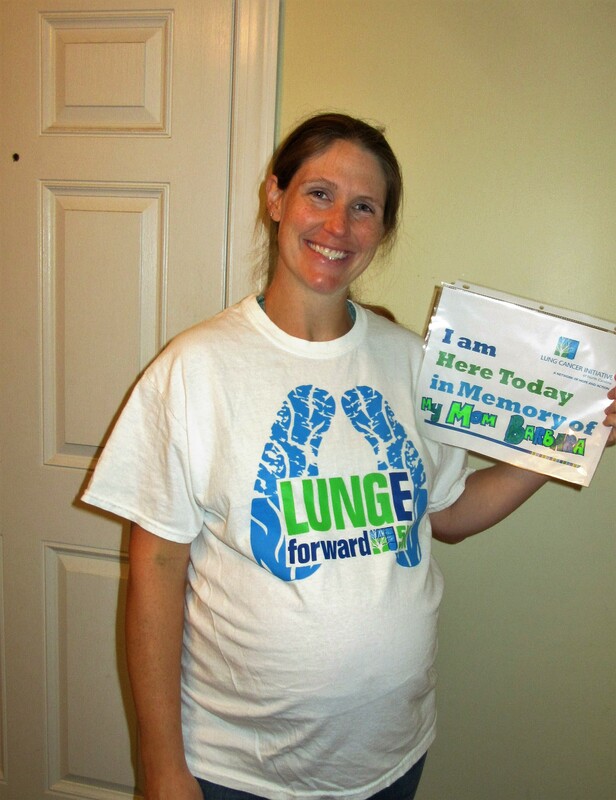 The day of the LUNGe Forward 5K for Lung Cancer Awareness!!!! 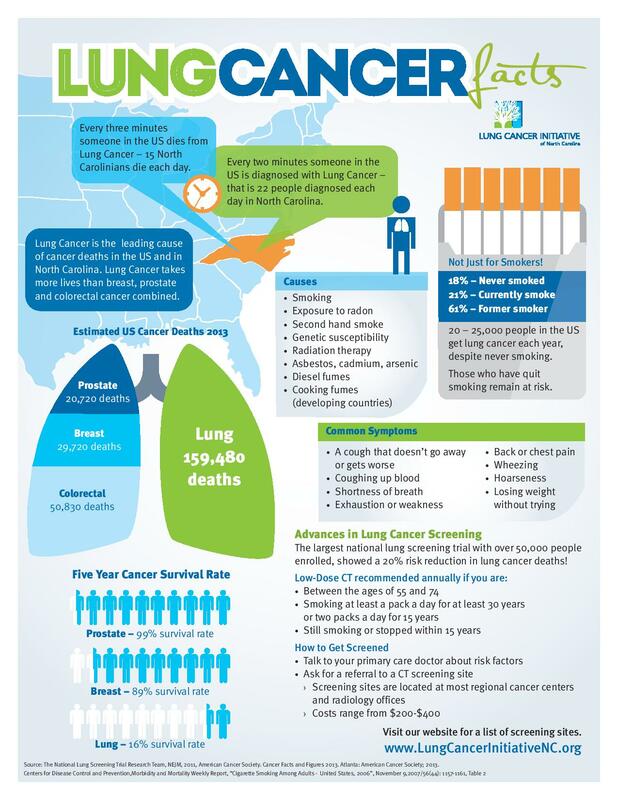 I’ve included a handy dandy fact sheet from the Lung Cancer Initiative (link to original here) so you can share some information on this devastating disease and correct some misapprehensions. For instance, did you know that nearly 20% of all new lung cancer cases are diagnosed in people who NEVER smoked? That’s right; lung cancer isn’t something that people “brought on themselves” or “deserve.” No one deserves cancer. NO ONE. So please, please please, donate to lung cancer research, share the facts about lung cancer, and help us find a cure! And stay tuned tomorrow for pics of me at the run! 🙂 I can’t wait!!! It’s that time of year again! 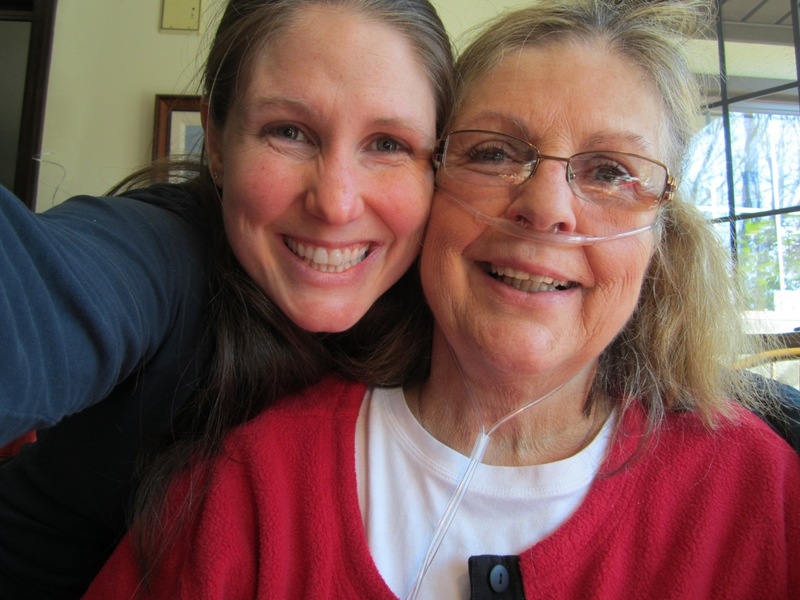 Time for my annual appeal on behalf of lung cancer awareness, in memory of my mom and all of the other hundreds of thousands of people who are battling this under-funded, under-publicized, overly deadly disease. In North Carolina, around 8,559 people are diagnosed with lung cancer, and more than 6,186 are expected to die this year. Over the last five years, there has been an explosion in the scientific understanding of the biology of lung cancer. This information is beginning to be translated into new treatments for the disease, but we can only continue to make progress by funding more research, awareness, education and access programs. So please, if you are able, support lung cancer awareness in some way during November. One very good organization, particularly for those of us in NC, is the Lung Cancer Initiative of NC. Not only do they support research into lung cancer, they also strive to raise awareness of and provide education regarding lung cancer prevention, screening, and treatment. 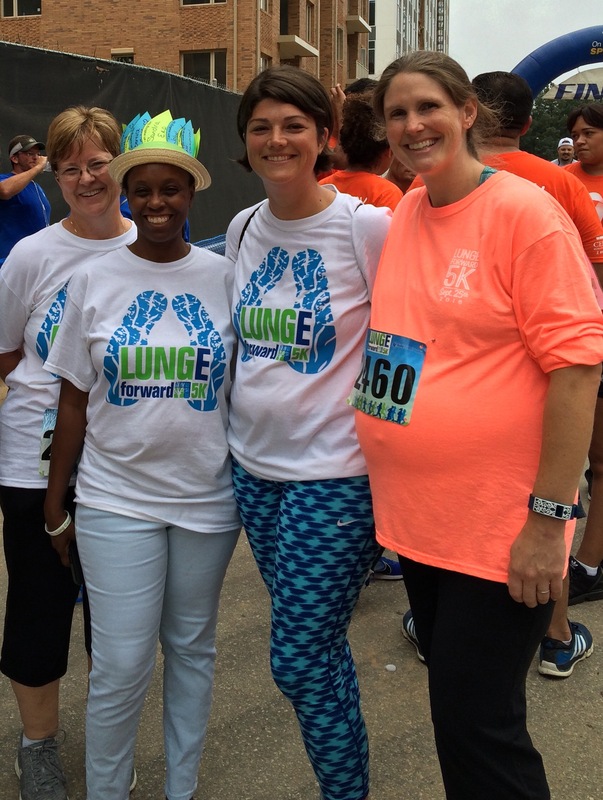 If you are interested, you can donate to my personal fundraising page for the Lung Cancer Initiative here. 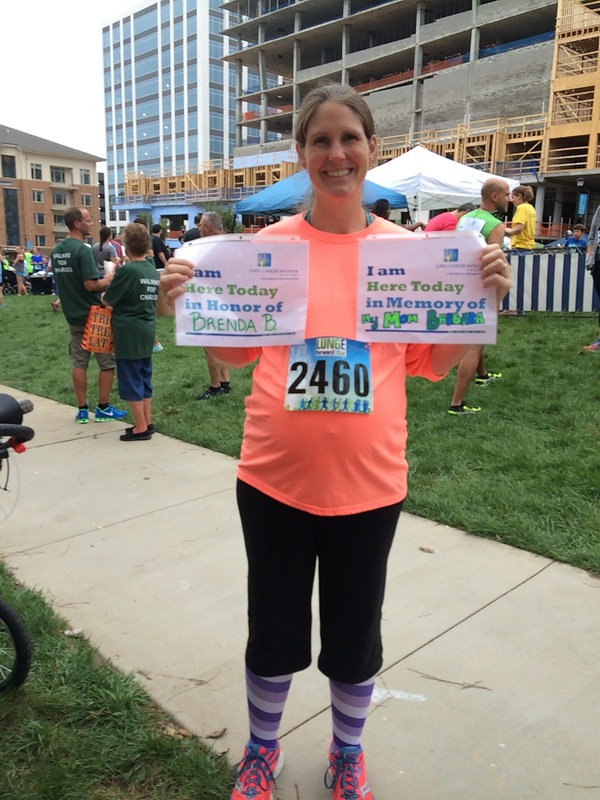 Because like I say on my LCI page – no one should lose a loved one to lung cancer. 1. American Cancer Society. Cancer Facts and Figures 2013. Atlanta: American Cancer Society; 2013. 5. Burns DM. Primary Prevention, smoking, and smoking cessation: Implications for future trends in lung cancer prevention. Cancer, 2000. 89:2506-2509. Thun, MJ, et al. Lung Cancer Occurrence in Never-Smokers: An Analysis of 13 Cohorts and 22 Cancer Registry Studies. PLOS Medicine, 2008. 5(9): e185. Doi: 10.1371/journal/pmed.0050185. Satcher, D, Thompson, TG and Kaplan, JP. Women and smoking: a report of the Surgeon General. Nicotine Tob Res, 2002. 4(1): 7-20.? Park et al. 2012: http://onlinelibrary.wiley.com/doi/10.1002/cncr.26545/abstract. 6. SEER Stat Fact Sheets. Surveillance Research Program, National Cancer Institute.